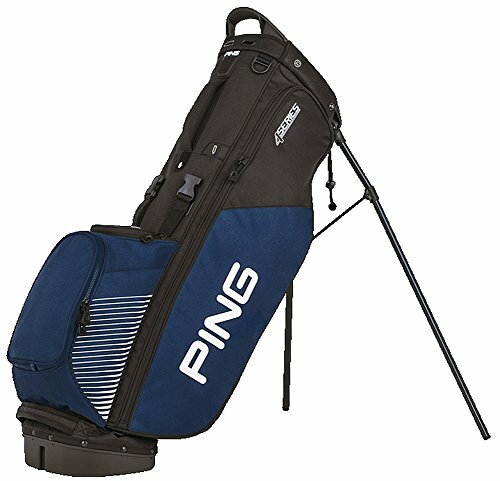 The 4 Series bag enjoys enduring popularity for its super-lightweight comfort, easy-adjusting shoulder pads that keep a golfer balanced, and strategically arranged pockets that provide ample room for items big and small. Shoulder pads are integrated with SensorCool Technology, and a deployable rain hood is attached inside the cushioned hip pad. Wide 24-inch leg span for stability. 7 pockets (6 zippered, 1 slip). Padded valuables pocket with divider pouch. Insulated water-bottle pocket easy to reach while walking. Lightweight, durable polyester. Deployable rain hood attached inside hip pad. Umbrella holder, towel loop. Zip-off, customizable ball-pocket panel.